As a new faculty member, you receive a three-year research initiation grant to help you establish your research program and to act as a bridge to external sources of funding. Additional internal funding to cover research assistants is available by competition. You’re also eligible for fellowships or professorships and course releases. We help build your reputation by highlighting your work on our research site, QSB Insight. New faculty at Smith School of Business teach three half-courses a year for the first three years. After that, faculty usually teach four half-courses a year. We can usually arrange for you to teach your half-courses all in one term, making it more efficient in terms of prep time and allowing for an uninterrupted period for research during others periods of the year. From your first campus visit, you feel looked after. Staff members bring you up to speed on the local real estate market, smooth the way with immigration issues, and offer advice and support on research grants and awards. More experienced faculty members act as mentors, sharing their perspectives and helping you navigate the collegial environment at Goodes Hall. You quickly learn to appreciate Goodes Hall, home of Smith School of Business. Goodes was conceived and designed as a learning community. It combines an exquisitely restored 45,000-square-foot 120-year-old Victorian schoolhouse with 143,000 square feet of bold new design and structure. A new wing was opened in 2012, featuring state-of-the-art classrooms with the latest teaching technologies and a dedicated behavioural research lab. Smith welcomes dual career couples and does its best to accommodate them. 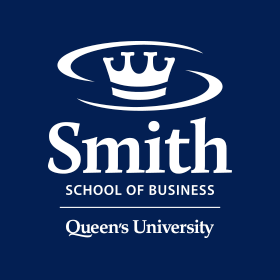 Guidance for partners/spouses seeking nonacademic employment at Smith or in Kingston is available from Smith's Faculty Recruitment and Support Program. Support includes an initial overview of the local labor conditions relevant to his/her field; networking assistance with potential employers and industry associations; and referrals for employment counseling. At Smith School of Business, it is possible to thrive as a faculty member and have a full and fun life outside of Goodes Hall. Our faculty take full advantage of what Kingston has to offer, whether enjoying the best freshwater sailing in North America or taking in the rich cultural scene. We’re proud of our family-friendly environment and offer excellent parental leave provisions. New parents can apply to have their tenure decision postponed for births or adoptions.